This long sleeve white blouse is certain to become a staple in your work wardrobe. 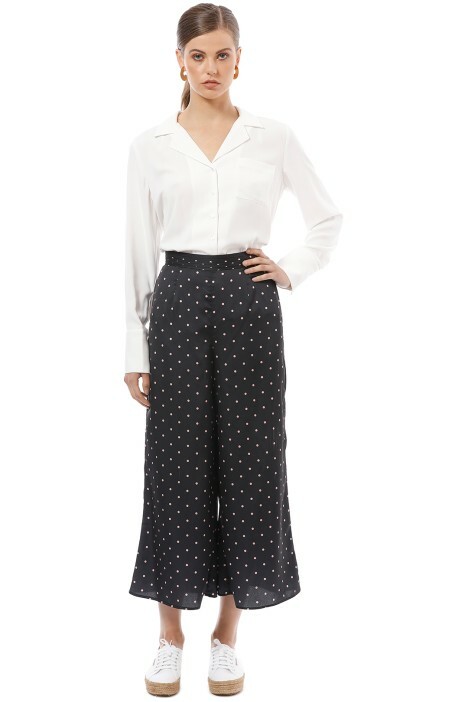 Featuring a button-through front, scoop hemline and breast patch pocket, its timeless fashion and contemporary details make it super practical and versatile. Perfect to hire for an upcoming work function or cocktail party! Crisp as the snow, wear this pristine blouse with a modern feminine blazer for a winter evening out. Style it tucked into a bold modern pantsuit and statement earrings with your favorite kitten heels for a powerful workwear look. Read our blog post for more inspiration on how to wear white this winter.